In December 2015, the Truth and Reconciliation Commission of Canada released its calls to action for reconciliation related to the oppressive legacy of Indian Residential Schools. Required actions include increased teaching of intercultural competencies and incorporation of indigenous ways of knowing and learning. Intercultural Communication as a discipline has primarily been developed from euro-centric traditions based in three domains of learning referred to as Bloom's taxonomy. Scholars and practitioners have increasingly identified problems in the way that intercultural competency is taught. The decolonization of education is implicated in finding solutions to those problems. Indigenization of education is one such effort. This chapter posits the Medicine Wheel, a teaching/learning framework that has widespread use in indigenous communities, for use in instructing intercultural communication. Bloom's taxonomy of the cognitive, psychomotor, and affective domains, is missing the fourth quadrant of the Medicine Wheel, spiritual. Examples of the spiritual quadrant are offered. Training for public servants and for business management and staff (pp. 3, 7,10). Intercultural communication as an academic discipline has the opportunity to contribute a great deal to meeting all of these calls to action. 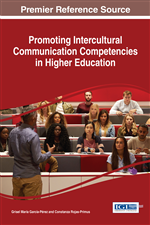 Indigenization of post-secondary education, specifically in teaching intercultural communication, is one way that instructors can meet this challenge. The focus of this chapter is to provide a framework for engaging in this task. Colonization of the Americas and many other parts of the world by European powers, and the accompanying attitudes that viewed indigenous peoples as sub-human, is a legacy that continues to divide and oppress peoples throughout the world through practices of racism and prejudice (Miller, 2011). The negative effects of Indian Residential Schools, where indigenous children were taken from their families and sent to institutions that were meant to rid them of their culture and where they often suffered abuse and even death, is a part of history that Canada is only starting to acknowledge and come to terms with (Canada’s Residential Schools, 2015). The truth and reconciliation process in Canada, as in other parts of the world, is meant to begin a spiritual healing between communities and lead to the breaking down of barriers to relationship building.